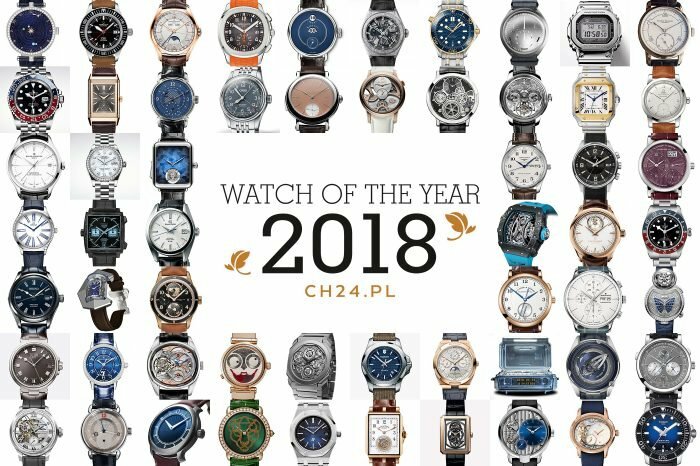 Two things are certain for us this time each year: “Watch of the Year” grand finale and the weather, so depressing and nothing like a famous, golden Polish autumn. 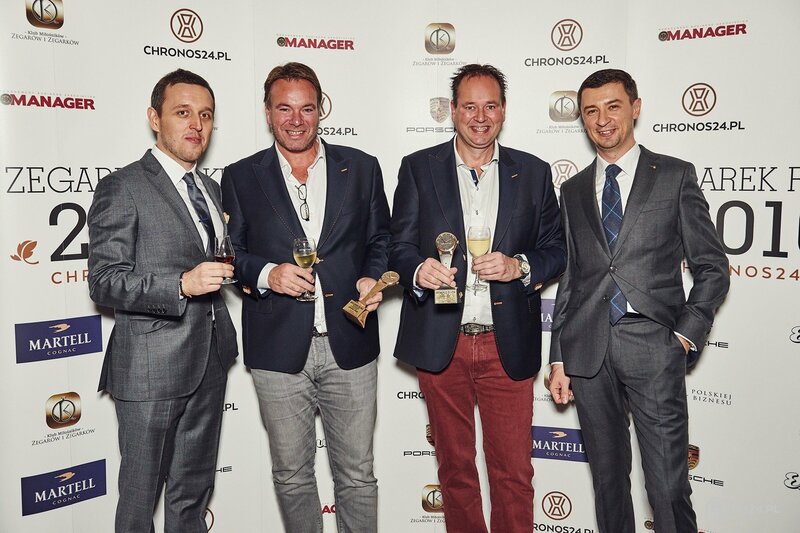 Those two things are as sure as a precise Swiss watch, and it was so again, when first guests landed on Warsaw’s Chopin Airport in the morning of 20th October. 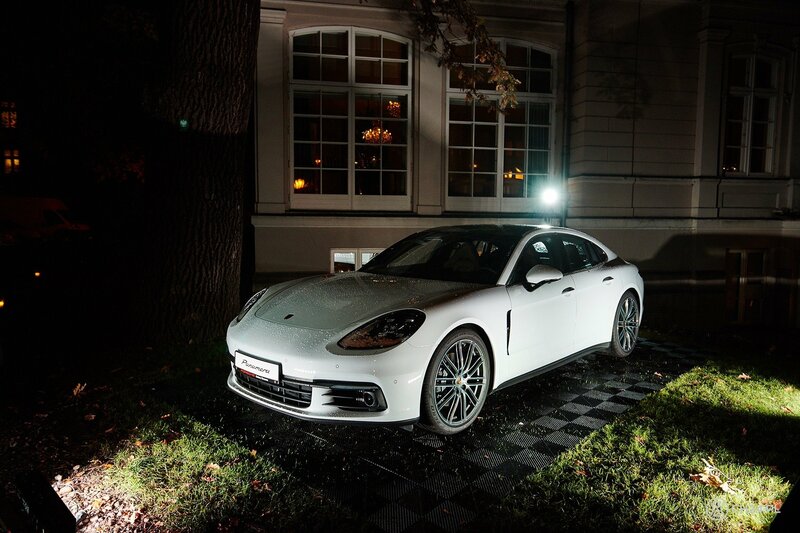 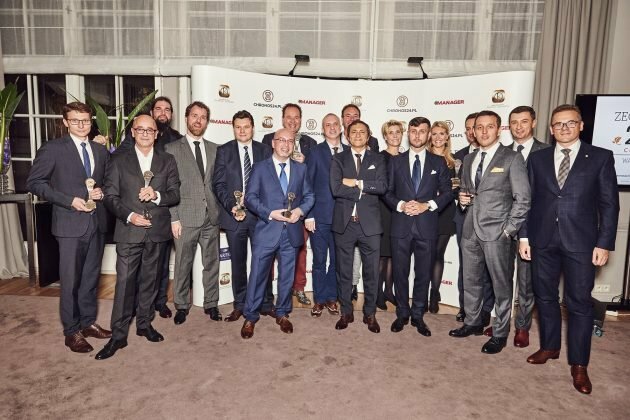 Fortunately their comfort and convenience were taken care of by our partner – Porsche Inter Auto Polska – while we could focus all our attention on the evening’s ceremony, traditionally held at Sobanski’s Palace (in front of which there was a brand new Panamera presented, for the first time in Poland). 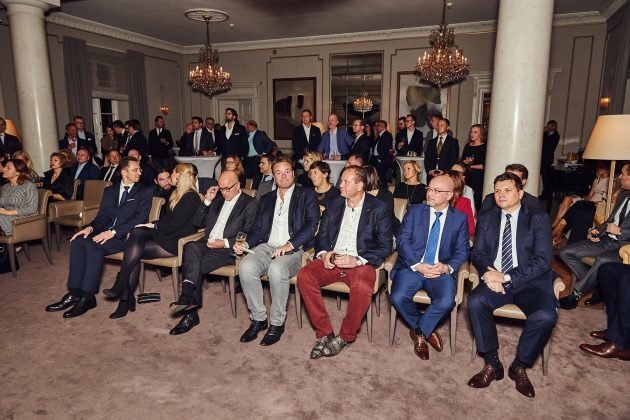 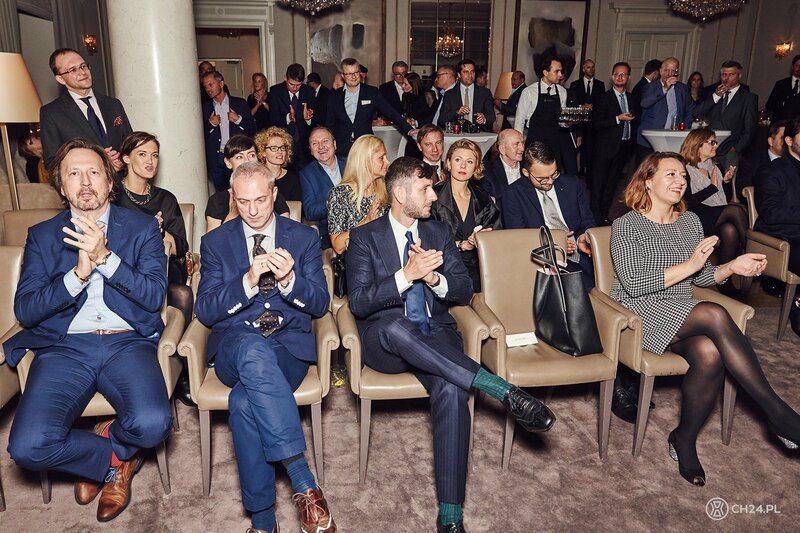 Elegant, neo-renaissance villa, raised in the second half of XIX century, was our home for 6 out of 7 previous galas, and the Polish Business Roundtable Club became official partner of the event. 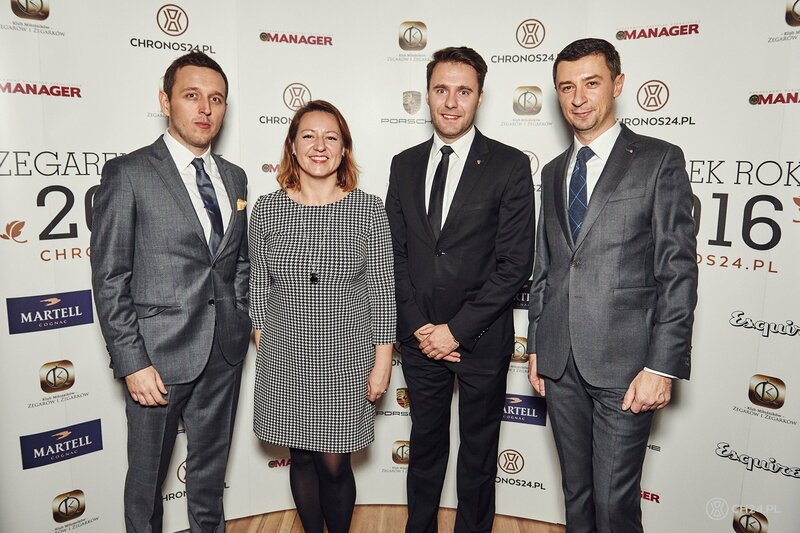 The event would not be possible without our regular partners: Polish Watch and Clocks Collectors Club and the Manager MBA magazine. 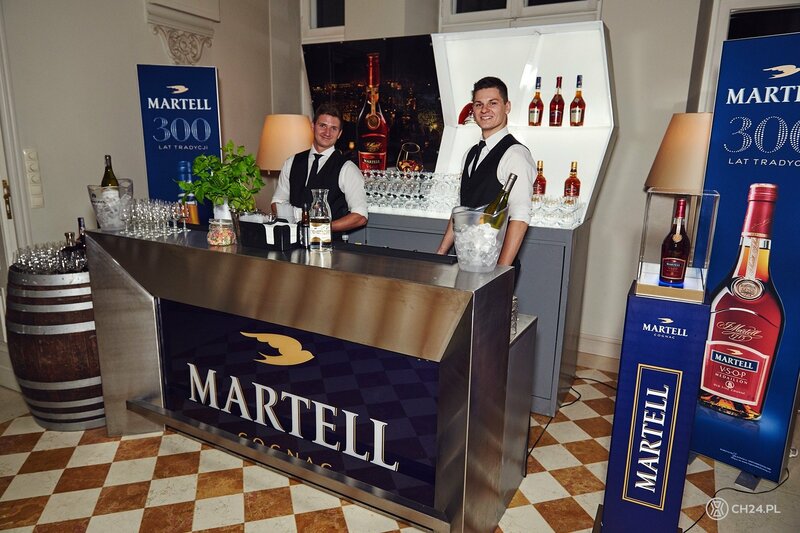 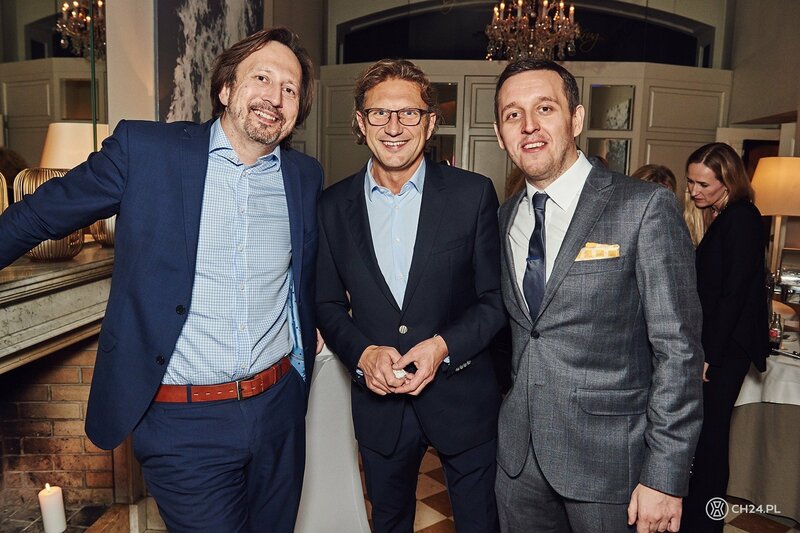 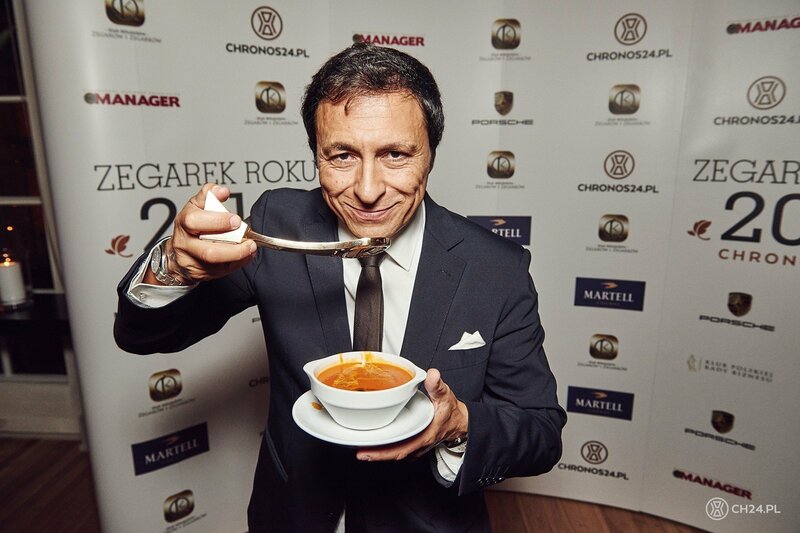 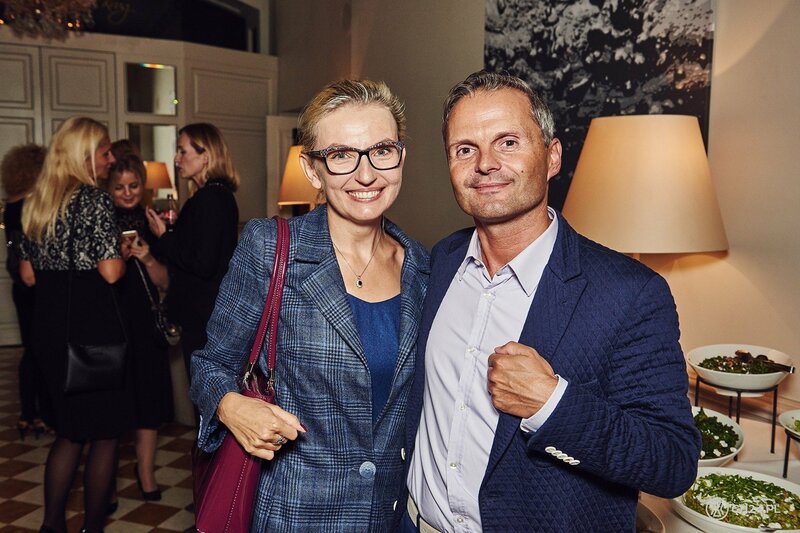 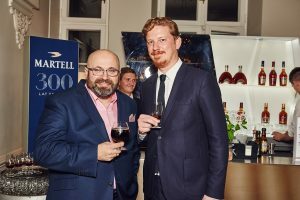 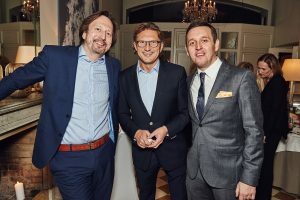 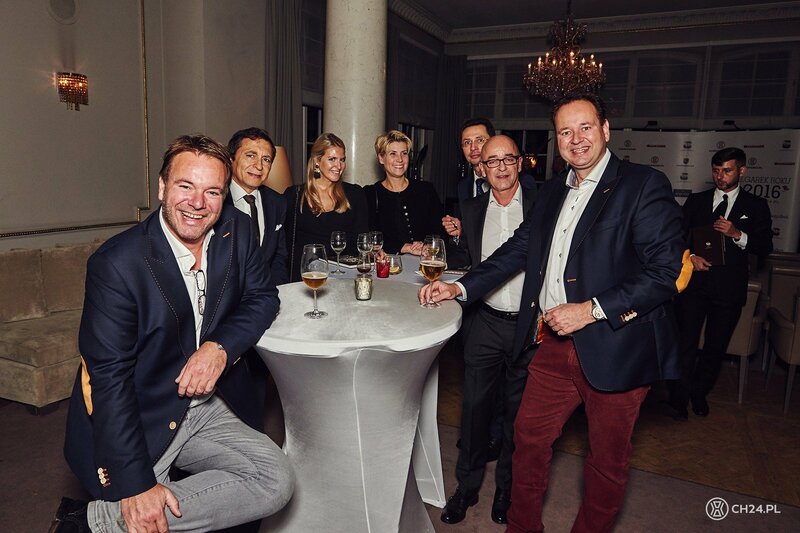 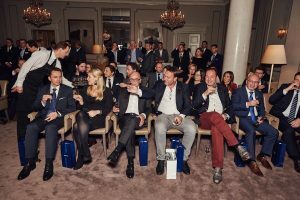 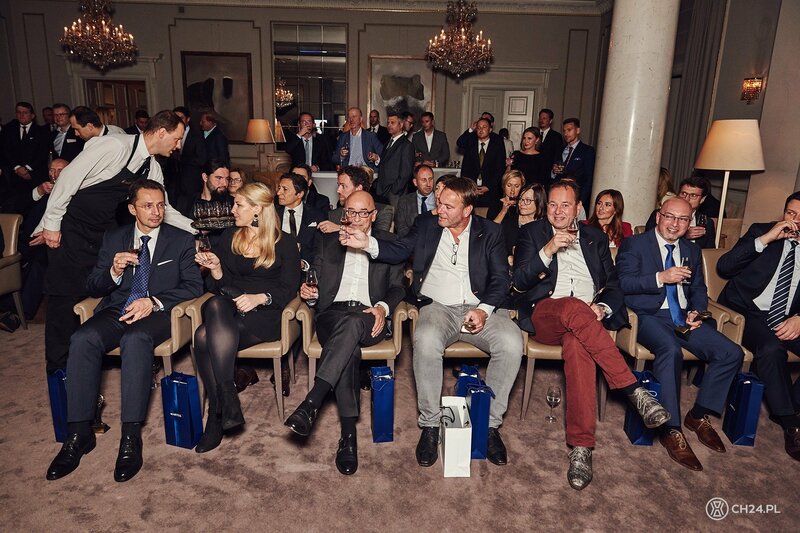 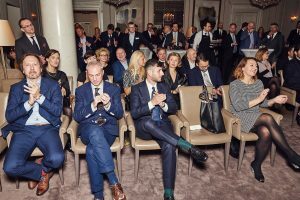 Media partnership was again, for the second year in a raw, provided by Esquire Polska, while the delicious cousin and drinks provided by Amber Room and Martell, represented by our great friend and all-round classy gentleman Dariusz Fabrykiewicz. 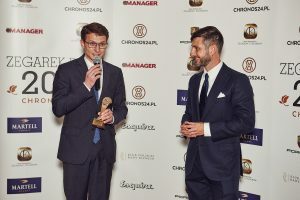 From the beginning and very first “WOTY” gala, the biggest such event in Poland, we wanted it to be a casual yet classy evening for the watch industry and friends, without an unnecessary posh and formality. 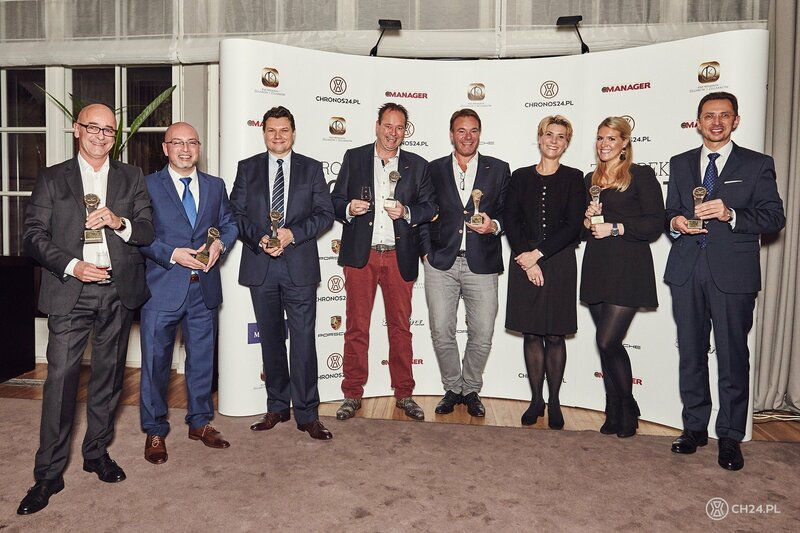 Having said that each edition begins with awards ceremony and winners presented with hand-made, artistic statuettes. 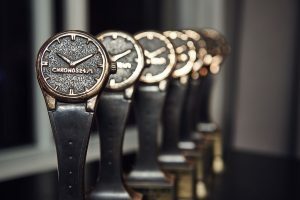 You can see all the results of this year’s “WOTY” on the official website www.zegarekroku.pl/en, and during the evening two final laureates: Special Jury Prize and Grand Prix, were unveiled. The first one went to the man, who is commonly (and very rightly) perceived as one of the geniuses of watch marketing. 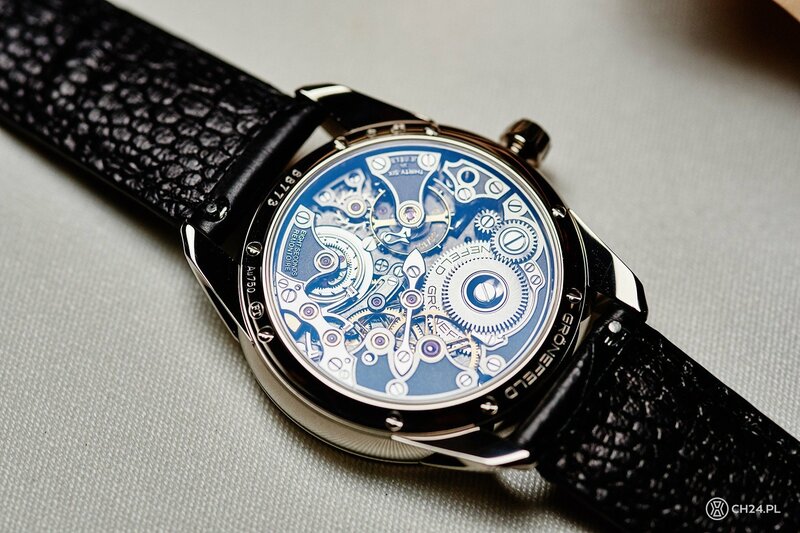 Jean-Claude Biver, gentleman with charisma and energy that we would all love to have, revived the dying Blancpain manufacture, placed Omega watch on James Bond’s wrist, build the power an pop-cultural phenomenon of Hublot to finally take helm of the LVMH watch department. 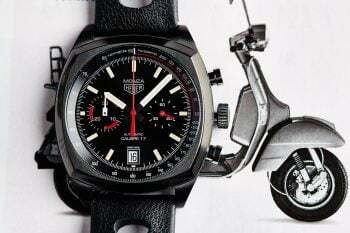 Nowadays Biver is not only responsible of all the watch brands within the group but also became the new CEO of TAG Heuer. 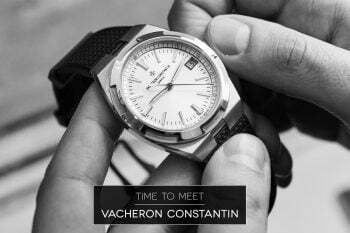 In his scars private time he also passionately collects watches, with a set of vintage PP that anyone would easily kill for, not to mention great wines collection and private farm in Swiss Alps, making delicious cheese. 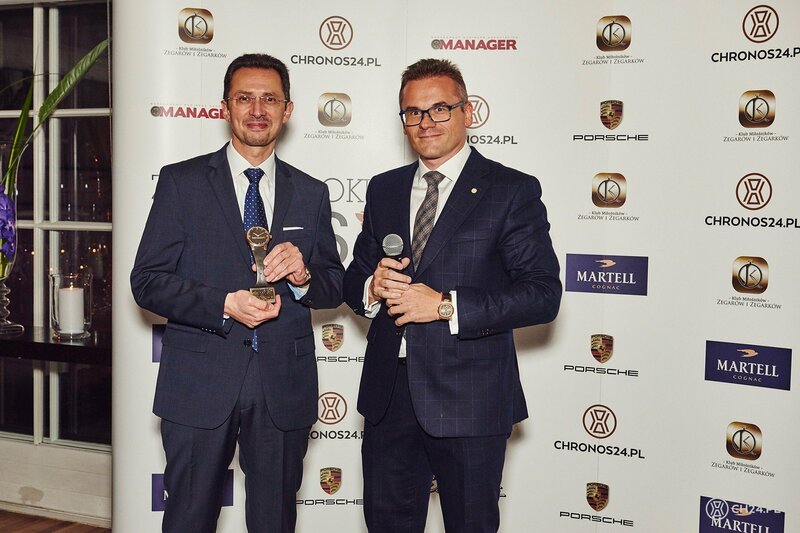 Unfortunately Mr. Biver could not be with us In Warsaw, so his special award was collected by Sebastian Rusak from TAG Heuer Polska. 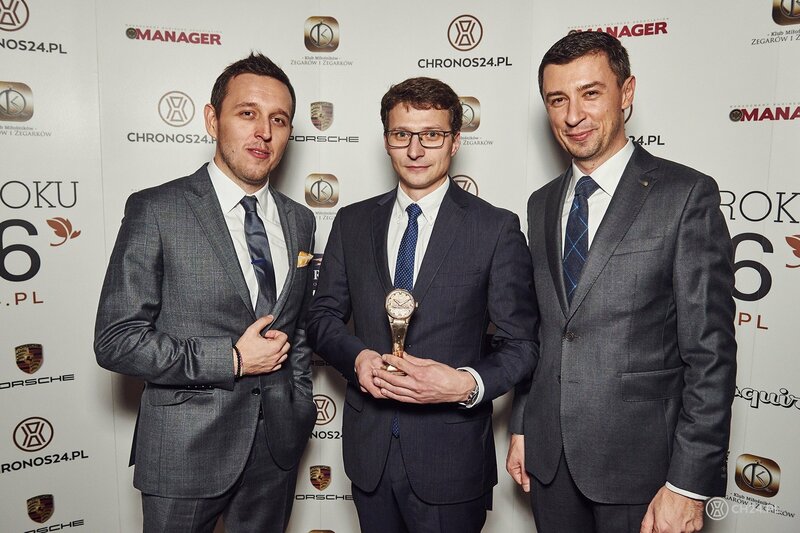 The main “WOTY” prize – Grand Prix – is always selected from among all the 6 categories winners. 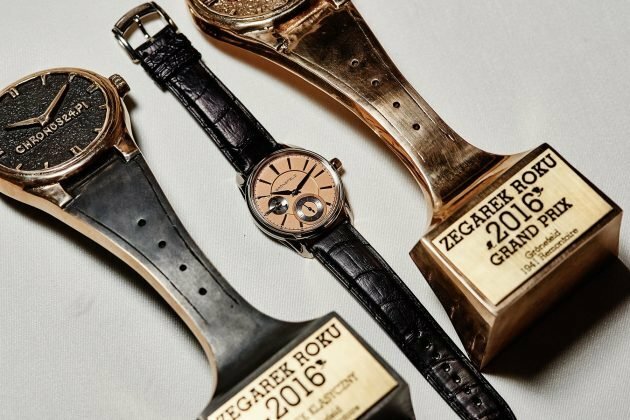 The Big winner not only receives a golden statuette but also a “Best of the Best” status, de facto the best all-round timepiece of the year. 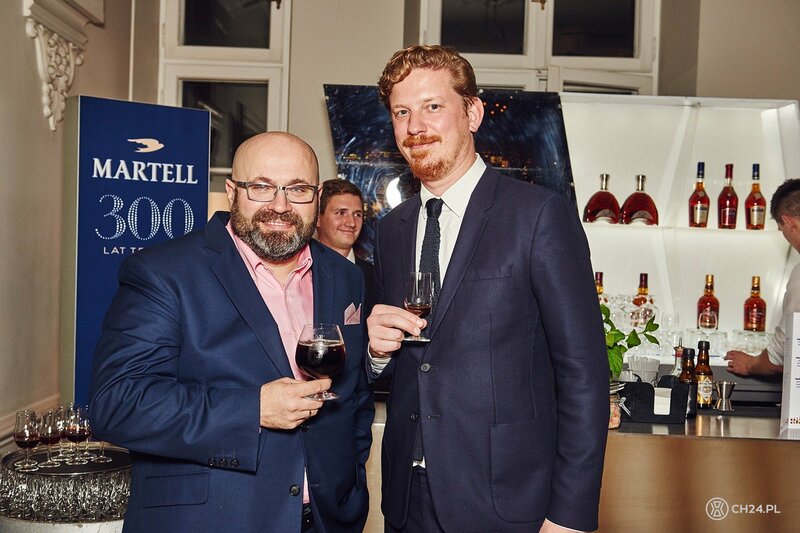 2016 will be quite a memorable year for Bart and Tim Grönefeld. 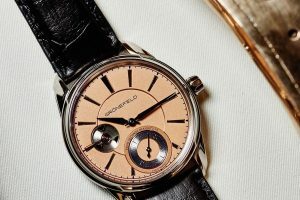 In their small hometown of Oldenzaal very limited number of precisely crafted watches is brought to life every year. 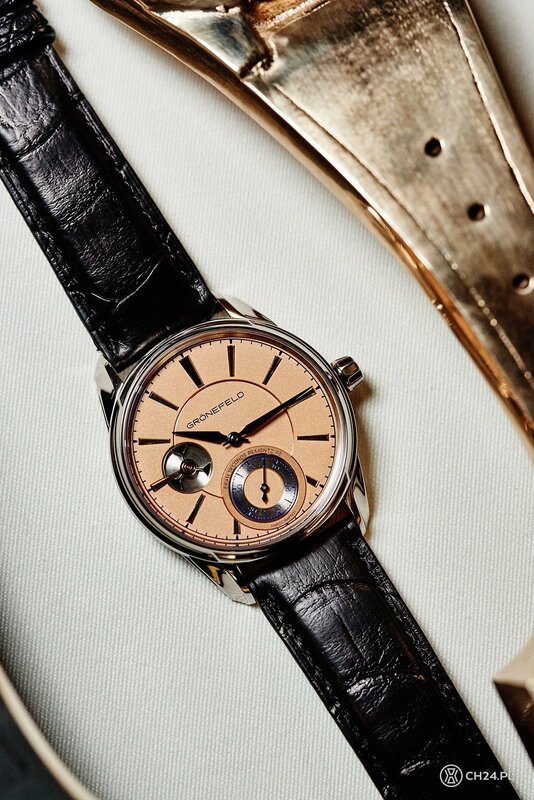 Not more than 45 pieces leave the manufacture, including the newest 1941 Remontoire. Quite a minimalistic, traditionally styled piece has one of the most beautiful movements I’ve ever seen, finished with utmost precision in every smallest detail, and with a constant force device build in. 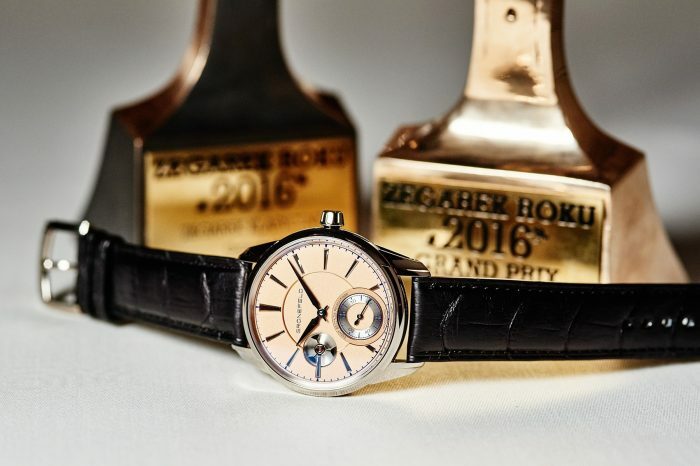 Grönefeld 1941 Remontoire (some live picture to be found HERE) is the 2016 “Watch of the Year” Grand Prix laureate. 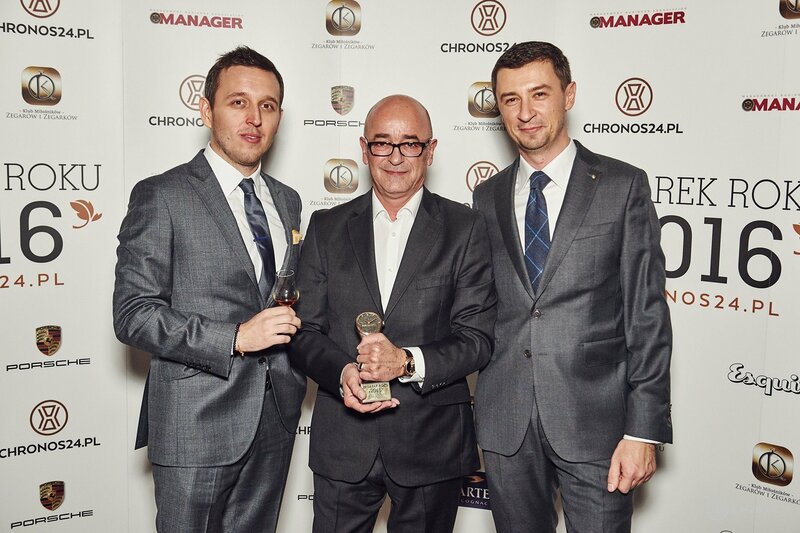 The Grönefeld brothers returned home with one more trophy – the best “Classic Watch”. 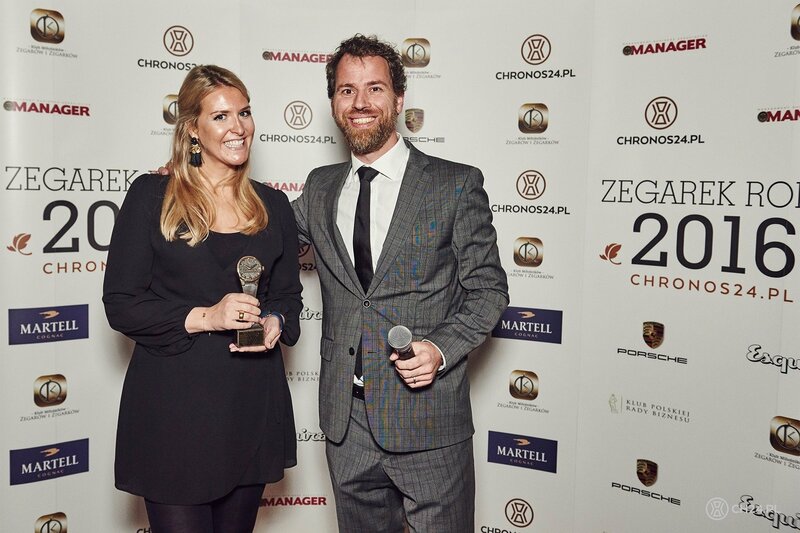 The “sports Watch” category went to Vacheron Constantin Overseas Chronograph, and prize was collected by Sarah Schroeder, PR Manager. 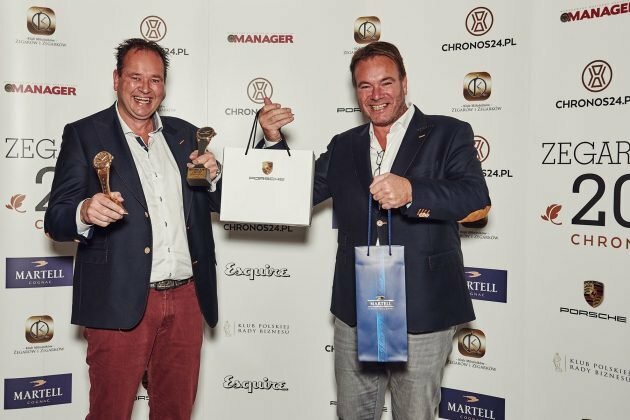 “Complicated Watch” of 2016 belongs to A. Lange & Söhne and the Datograph Perpetual Tourbillon. The prize went to Glashutte in the hands of Mark Stelzer, Senior PR Manager of the brand. 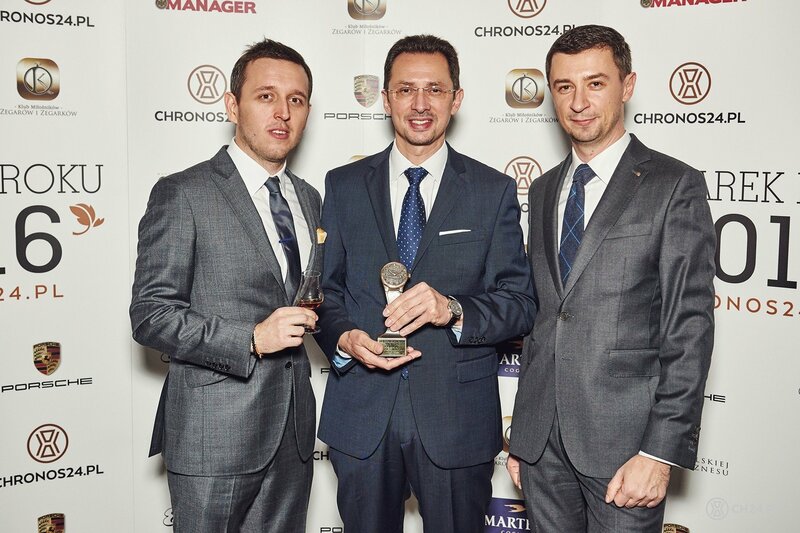 Best “Innovation in Watchmaking” of 2016 is Bulgari Octo Finissimo Minute Repeater, the thinnest mechanical repeating watch in the world. 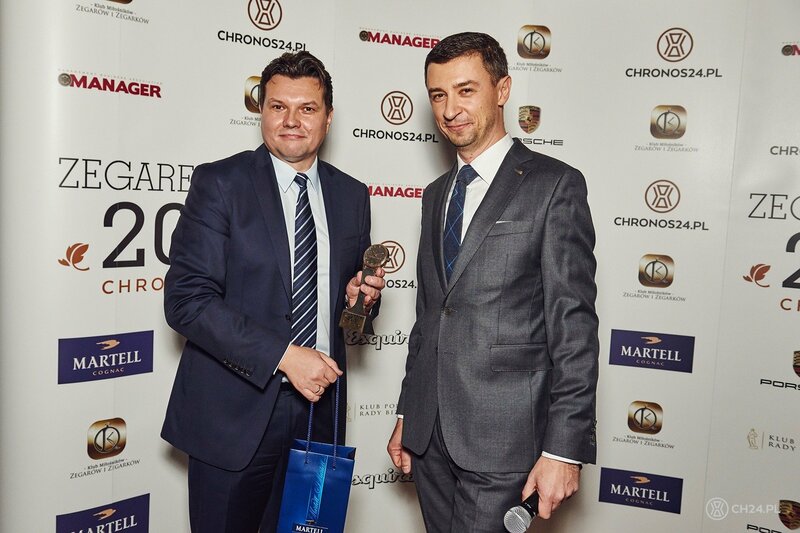 The statuette was presented to Pascal Brandt, PR & Events Senior Manager Watches. 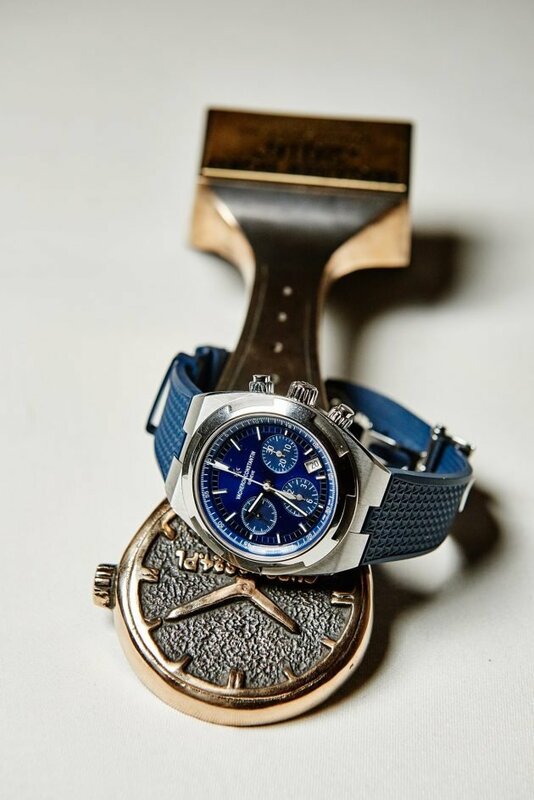 On-the-budget best timepiece of the year is a Seiko PADI SRPA21 Automatic Diver’s. On behalf of the Japanese watchmakers the prize went to Patricio Testart, Marketing & Sales Manager. 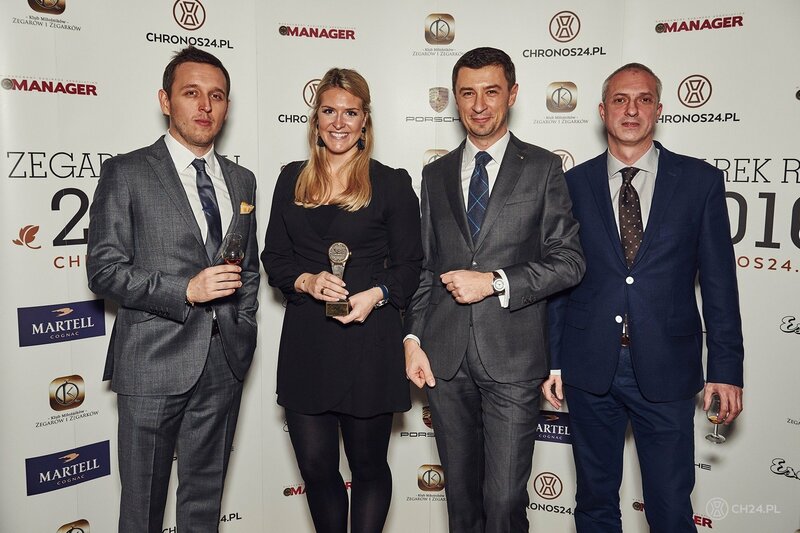 The “Ladies Watch” of the year will, for the next 12 months, belong to Urwerk UR-106 Lotus. 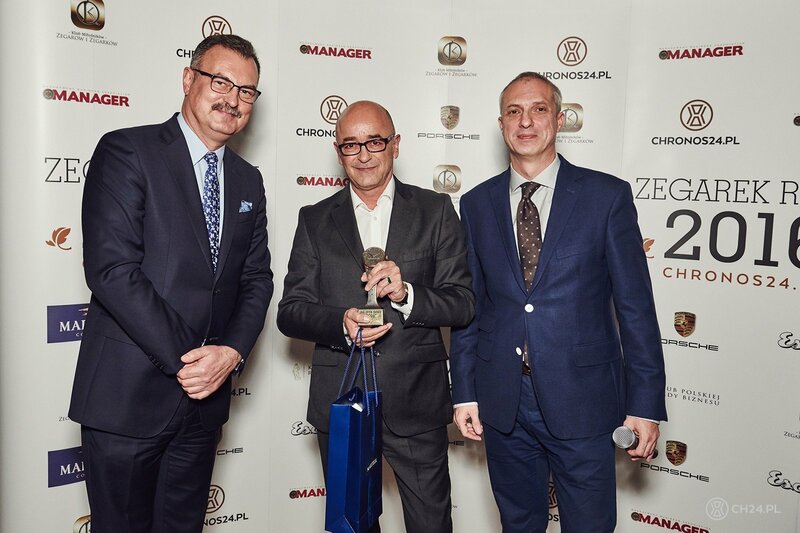 Yacine Sar Terrettaz could not be with us during the evening, so we’ll deliver the prize to Geneva soon. There is another special prize, no less important than the Grand Prix or the Special Jury Prize. 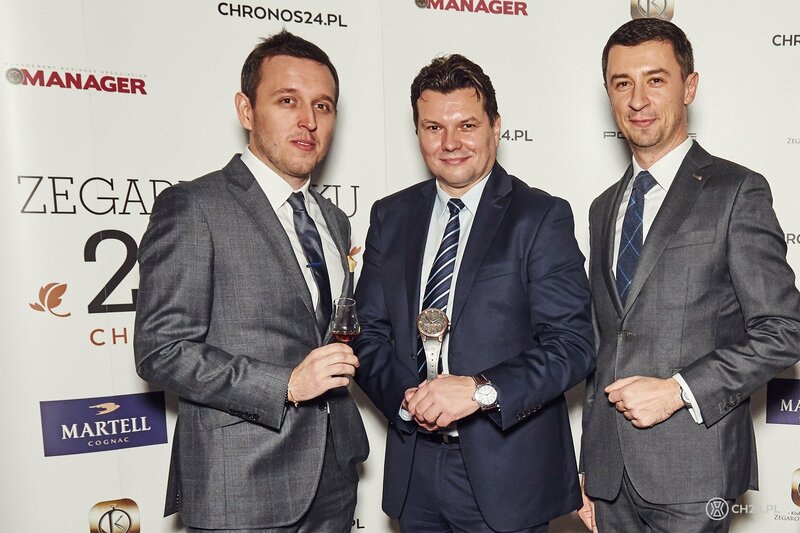 “Public Prize” is the annual voice of you, our dear reader. 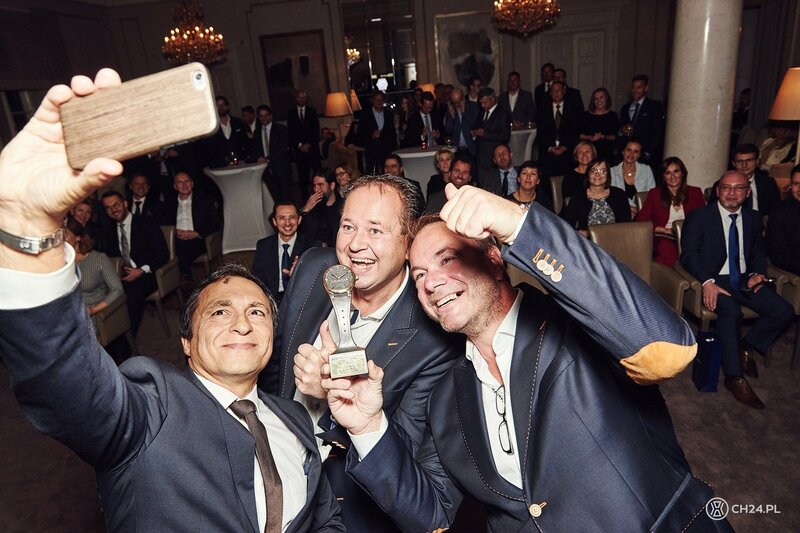 This time we receive a whopping 8.000+(!) 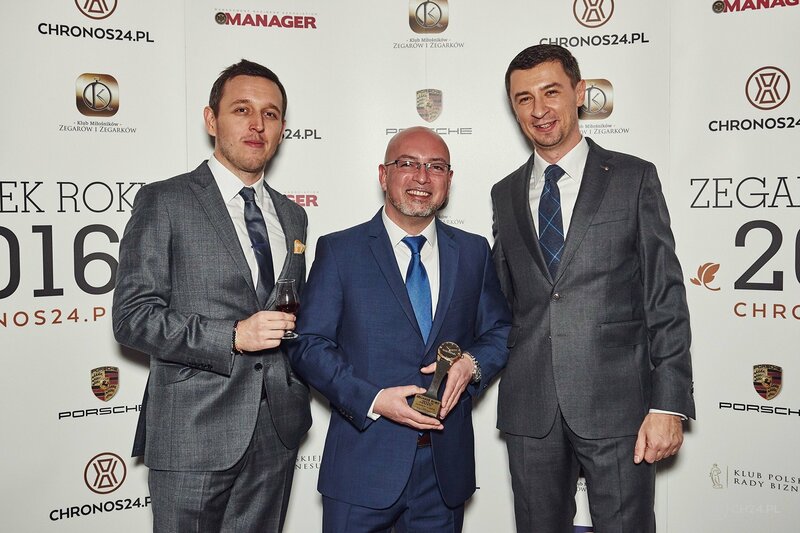 votes, but the winner remains unchanged since three consecutive years. 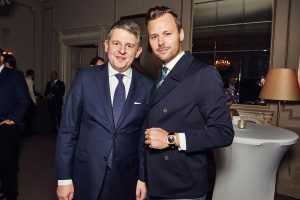 Longines went with a quite an overwhelming social media campaign to promote their watch, and if you add the popularity of the brand in Poland and an unquestionable charm of the simple yet stylish Heritage RailRoad, the recipe for success is guaranteed. 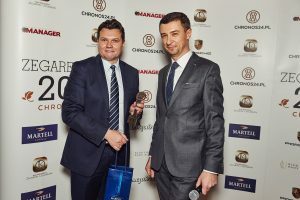 The prize once again went to always happy and enthusiastic Leszek Pilch, Brand Manager Longines Polska. 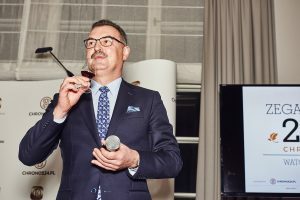 Our host for the gala was Rafał Jemielita, and the awards were presented by jury members: Jan Lidmansky, Miguel Seabra, Frank Geelen, Dariusz Chlastawa, Jakub Filip Szymaniak, Tomasz Jakubas and finally yours-truly CH24.PL – Tomasz Kiełtyka and Łukasz Doskocz. 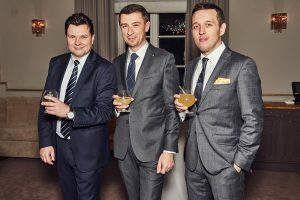 Over 100 invited guests that attended the evening proves, that the concept of the “Watch of the Year” fits perfectly into the development of still modest Polish watch scene. We thank a lot all the people and brands involved in successful 7th edition of “Watch of the Year”, and already invite everyone for the 8th “WOTY”, coming next year.